ePi Technologies JSC was founded in March 2006 by a group of graduate students in mathematics and information technology. The company rests its core business on its proprietary and award-winning technologies including visual information clipping, user-behavior tracking, relevant data analysis, and contextual analysis. ePi’s main product is BaoMoi, a Vietnamese online personalized news reader enhanced by machine learning and semantic filtering. Besides allowing users to read, filter, rate and share news with others, BaoMoi also enables them to personalize their news pages and offers relevant news based on their reading and searching habit. 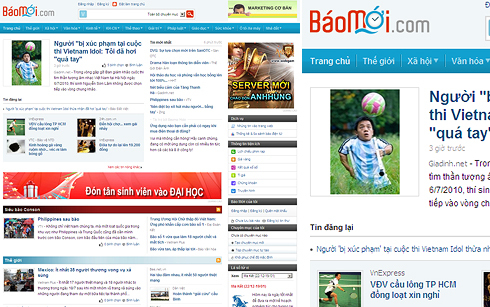 BaoMoi is currently is one of the top 30 most-visited sites in Vietnam and the number one online personalized news reader. Other online properties of ePi include RaoVat123, a leading classified ads website, and Vn-Zoom, an online IT community.